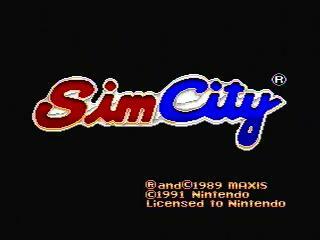 Released in 1989, the original SimCity was initially rejected by publishers because they feared a game with no win condition was unmarketable. Eventually Maxis took a chance, and one of the most popular franchises in history was born. Electronic Arts' release of SimCity 2013 paid tribute to this game, with always-online servers simulating lag and general slowness. Best time to Megalopolis: Single-segment 0:31:18 by Kyle 'Mr. K' Halversen on 2012-01-29. A: The city is named in honor of the person that created the layout, Gothic_Sara. GameFaqs had a very active and amazing SimCity board in 2009. Maxis released the source code for SimCity around 2008 and Gothic_Sara was able to use it to figure out how things like land value and the growth of buildings work. She designed this city specifically for the purpose of speedrunning. When I first wanted to run this game, I had no idea where to even start. It was all so complex. Thanks to her work, I was able to understand a bit about what's going on with city planning and thanks to her layout, I have this run. A special thanks to embid2 and Saint Cyan because they also played a prominent role in figuring out the mechanics of this game. Q: Why don't you use the money trick? A: I know it sounds really cool to do a run without the money trick, but trust me, you don't want to watch it. You'd basically be forcing gifts and raising taxes. The city would grow at a snail's pace. Half the run is already sitting around as it is and I can easily imagine this being 5 hours or more. Most of the time spent would just be waiting for more funding. The cost of maintaining a fully built city is around $4600 a year. The main problem is just that the fastest in-game speed on the SNES version just isn't fast enough to make this practical. A: Power in this game is a bit more complicated than it appears. While it's true that a power plant can only power a certain number of zones, power is kind of complicated in the sense that it is actually "routed" from zone to zone. Using the layout I had, the path that power took to route from the bottom power plants to the zones at the top caused the industrial zones at the very top of the screen to go without power. This happened regardless of the number of power plants on the bottom of the screen. To remedy this, a power plant was placed in the top left and it is on its own separate grid from the rest of the zones in the city. A: This is a combination of a variety of factors. In short, it has to do with land value and whether or not a zone is 'connected to transportation'. These factors are taken into consideration and on top of this, each of these zone's growth is also dictated a random number generator. A: In order to achieve maximum growth, residential, commercial, and industrial zones need to be 'connected' to transportation. This means that at least one square of road or rail needs to touch the zone. In addition, this one square of road or rail must also have a 'destination'. That means that this road or rail must directly touch or be connected to more road or rail that touches a commercial zone, an industrial zone, a police or fire department, or a gift. Because of the spacing and layout of the residential zones, the rail layout in this city looks pretty conventional. You can see the trick used a bit in the island at the far right side of the map near the Marina to save a little space and to build fewer squares of rail. A: These cities take longer to build than this one does. As I mentioned in the last question, the main difference between these cities is that the layout is built around manipulating the game's mechanics on transportation. This means that the cities are built in a kind of grid-like fashion with fewer squares of rail and thus more zones. The problem with this layout for speedrunning to 500,000 is that you have to either switch back and forth between the menu several times (you are putting in rails and then switching back to build zones), or you have to criss-cross the same sections of the map over and over again. In the layout I use, I'm building something with nearly every cursor movement. These higher capacity cities do grow slightly faster than mine, however this does not offset the increased time it takes to build them when the goal is 500,000 people. If we set a different goal, say 600,000 then I would switch layouts to something that included this pattern. A: Gifts can take a long time to work. Gifts work by basically raising the land value of the zones around them. This process takes considerable time, depending on how favorable the game's random number generator is for that zone. This process can take so long that many zones have the right conditions to reach a TOP, but because of how fast this run is in terms of in game time, they don't. The zones around the Police Headquarters I built grew faster than many other zones in the city, but they didn't reach a top before the city became a megalopolis. Speaking of Police Headquarters, I use them for a couple of reasons. The first is that I can get them early on. They cost less to build than a regular police station so I can build more zones before doing the money trick. The other benefit to them is that because they are in place so early during the run, they have enough in-game time to promote the growth of their surrounding residential zones. A: This is because of what's called the 'downtown effect'. Basically the game designates a certain area of the city to have higher land values. Due to this effect, the land value of these areas remains reasonably high even when there is crime. The other areas of the city don't have this working in their favor and so they see a bit more police coverage. The growth of industrial zones is not affected by police departments at all and so they don't get any. A: The citizens of a city run by a shirtless Contra playing mayor have survived napalm. I think they can handle it. A: Public relations in SimCity actually have a lot in common with romantic relationships. People might say they want something and demand it, but this has no bearing on what they actually do. Having a lot of industrial zones can generate pollution and pollution lowers your approval rating as mayor on the voice screen. This statistic, however, is meaningless. In this example, the approval rating is basically complaining that there is some pollution somewhere on the map. The only thing that affects population is whether or not that pollution is close to your residential zones. A: The key to speedrunning SimCity is managing lag. Everything you do generates lag. Any movement you make slows the passage of in-game time. Having zones on the screen slows the passage of time. Building things slows the passage of in-game time. The in-game time moves the fastest when there are no zones on the screen and there is no cursor movement. This is the situation at the beginning of the run. Six months of time pass in about 1 minute. My city reaches a Megalopolis in 1902. If the passage of time were uniform, the city would've reached 1902 in a little over 5 minutes. Clearly, lag has an enormous effect on in-game time. There are two main things I do to combat lag. The first is that I try and move in-game time as far along as I can before exhausting my money at the beginning of the run. The next is that the city layout I use keeps cursor movement to an absolute minimum. The cursor is usually building something with each movement. A: Commercial zones aren't as negatively affected by pollution as residential zones. Their growth is pretty much just land value and RNG. They fill the gap between residential and industrial zones nicely. A: It does, but cursor movement can dramatically slow the passage of time as well. It's all in all probably a bit better to move into position quickly and let the in-game timer proceed then to continually move the cursor and make the in-game timer move consistently slow. Q: Why do you spend nearly half the run in view mode? A: Because of the very large number of industrial zones, this city generates a frequent and unending stream of pollution warnings from Dr. Wright. In View Mode, no event (not even disasters) can interrupt the passage of time. This is exactly what we want for speedrunning. It may also reduce the amount of lag as well, but I'm still testing that. I'll be improving this run, but right now I'm starting to see some diminishing returns on increased building speed. I need to figure out some more things, but this should be pretty decent for a first submission. I need to turn my attention back to Contra related things. If you have any other questions, hit me up on SDA.